If you are searching for a beautiful and affordable alternative for concrete paving, liquid limestone in Perth is the ideal choice. Liquid limestone is a combination of crushed limestone, concrete, and other additives. It is utilized in the construction of various outdoor sections such as pool surroundings, driveways, and patios. Liquid limestone is applied by pouring and spreading just like concrete. However, it comes in a natural and attractive Mediterranean colour. For the best results, have your liquid limestone laid by qualified and experienced personnel for the best results. There are numerous liquid limestone types to choose from at Absolute Scapes. Our liquid limestone Perth team will provide advice every step of the way. Throughout the years, many people have had natural stone pavers. While these are good, you need a regular maintenance routine to keep them looking attractive, and this can be tedious and costly. If you are not in a position to maintain them accordingly, then unsightly gaps, weeds, and ants take over making them unsightly. By using liquid limestone, you eliminate such challenges. Liquid limestone is a porous material. You should collaborate with professionals in order to ensure proper sealing. Remember, liquid limestone when inadequately sealed will stain and cause unsightly marks. However, an expert will leave it to set before finally applying the sealer to guarantee quality and durability. You can discuss your expectations with your service provider in order to get the ultimate results. If you prefer a minimal gloss finish, the expert will use a solvent based sealer. If matte finishes fascinate you, then using a water based sealer will be the ideal option. Absolute Scapes has been in the industry for 15 years now. We have established our business in the Southern part of Perth and service the surrounding areas. We collaborate with experienced and qualified individuals to deliver excellent and satisfactory concrete services. Our products are specially designed to enhance the appearance of your surroundings. They are carefully made to guarantee quality and durability. We pride ourselves in having one of the most competitive team in the industry. Not only are we qualified, we constantly keep up to date with the latest trends in the industry. We have seen the importance of using modern and advanced products and strategies. We truly believe we provide the highest quality Perth has to offer. In today’s overly competitive industry and technological advancements, we have made major strides to improve our services and ensure that our customers enjoy the latest trends. We have gained massive experience in the industry and through interacting with our customers, we understand what delights them most. We have numerous products to choose from. All of them are carefully and diversely selected to satisfy the desires of our customers. Our team is ready to recommend the best services and products depending on your needs. Searching for the perfect liquid limestone for your residence should not be a difficult task anymore. We at Absolute Scapes strive to understand your needs and avail the ideal customized products. 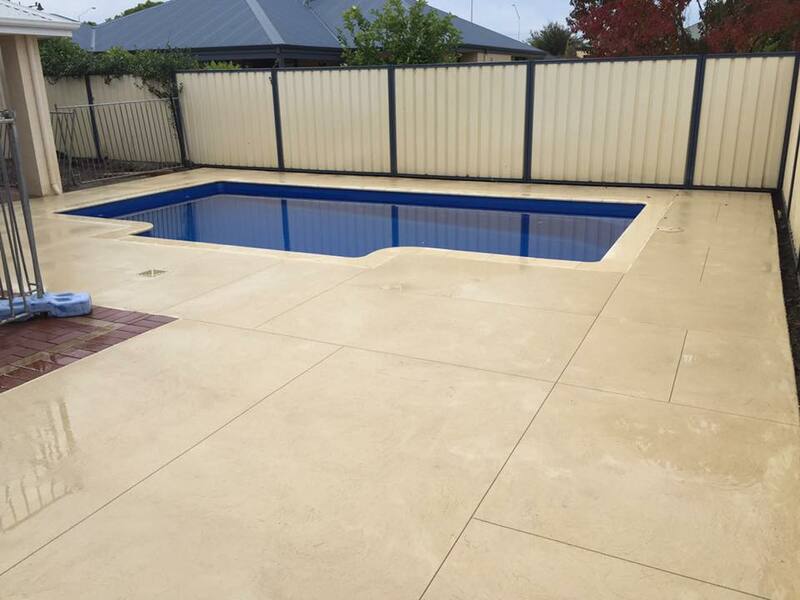 Contact us today, your liquid limestone Perth experts. Do you live in Perth and the surrounding areas? Are you in search of the best liquid limestone concrete services? Look no further. Absolute Scapes is your ultimate service provider with experience spanning over a decade. We strive to provide our clients with the best quality services. We are committed to using the latest superior quality stamped concrete to your satisfaction. Our team is not only passionate, but they are also experienced and qualified. In a bid to improve service delivery, we study the market to establish what our clients want. We proceed to conduct research to understand the available products and compare them against our client’s needs. We also have a team of researchers who are keen to establish the latest concrete slabs in the market. Together, we collaborate with our clients to provide the best durable concrete driveway that fits their budget and needs. 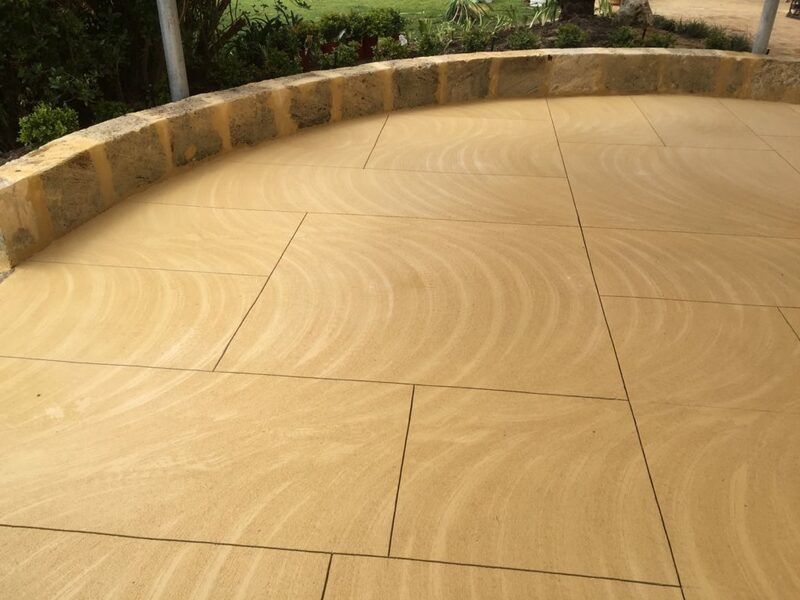 Poured limestone is popularly used in the Perth area since it comes with thermal resistant properties. These come in handy to ensure that you can walk on it comfortably across the year. What’s more, our liquid limestone concrete services improve your property’s aesthetic appeal while minimizing weeds and ants from your compound. Rather than utilize aggregate, you can try liquid limestone for your driveway, walkways, and sidewalks. Your children will be happy to run across the compound comfortably. 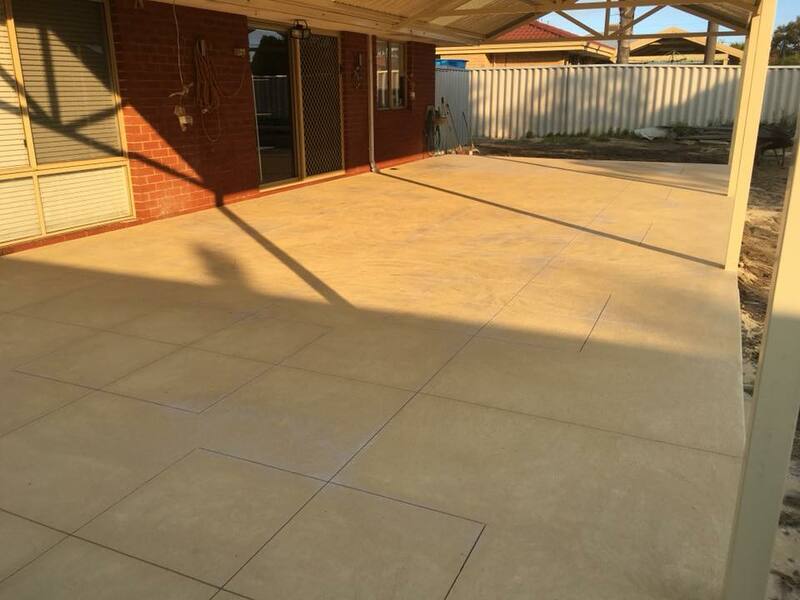 If you live in the Perth area, then you understand the kind of menace you can experience from concrete pavers such as chipping of sand which results in chipping of pavers which eventually make your compound unsightly. Further, chipped concrete slabs can be potential health hazards which you want to avoid. Opt for the more decorative concrete for your garage floor. Remember, only a qualified and certified concrete contractor can help you find the best-colored concrete for your property. At Absolute Scapes, we are prepared for our clients. We have a ready mix for your concrete pool and a high-quality concrete slab which you can utilize as a foundation for various surfaces in your home. Whether you are looking for pool decks, concrete patio, masonry services, or even resurfacing services, we are here to help you. Our cement is certified for durability and functionality. We use some of the best and latest concrete products in the market to ensure that our clients are satisfied. If you live in relatively hotter areas, liquid limestone is the best product you can use for your walkways. Absolute Scapes has a team of staff who can execute all the tasks involved in improving the aesthetic value of your residential or commercial surfaces. Our Lliquid limestone Perth understands that every client is different and their needs vary. This is why we strive to understand and work with every client individually. This way, we have managed to overcome challenges and gain tremendous experience which has helped us enhance our service delivery.